Other information Koparka kołowa Liebherr A 312, 2000 rok, waga 14 000 kg, moc 62 kW, stan bardzo dobry, maszyna sprowadzona z Niemiec, cena netto 75 000. 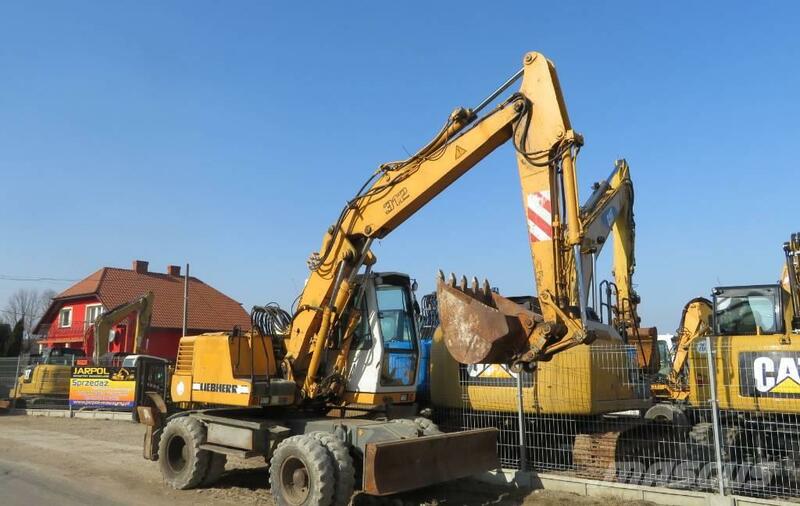 On Mascus UK you can find Liebherr A 312 wheeled excavators. The price of this Liebherr A 312 is £15,148 and it was produced in 2000. This machine is located in Nowa Słupia Poland. On Mascus UK you can find Liebherr A 312 and much more other models of wheeled excavators.